Bring some real British style into your wardrobe with our impressive selection of Barbour men's polo shirts. 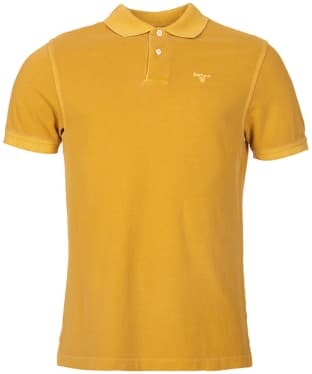 Considered a staple piece for any man and any occasion; the men's polo shirt has long since been an important part of both the casual and smart look and with Barbour’s selection of easy wear and easy clean men’s polo shirts looking dapper has never been easier. 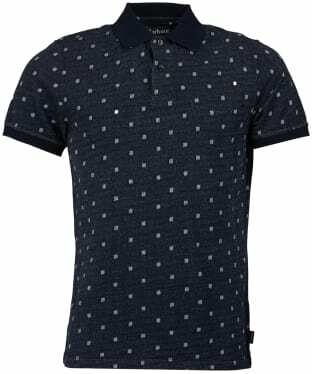 From athletic style tops with broad collars and a relaxed fit, to slim fitting contemporary shirts with fashion-forward patterns, we have something to suit every style in our stunning collection of men’s Barbour polo shirts. 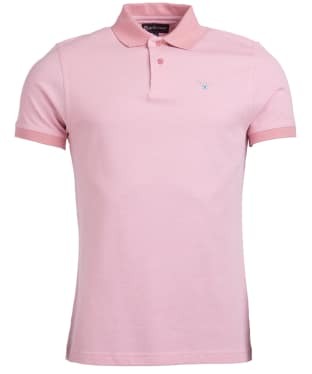 These soft and comfortable shirts are easy-to-wear and will look great with jeans and a hoody on casual days, or layered under a blazer with shorts for effortless summer style. 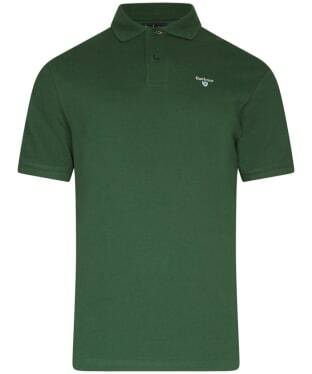 Explore our irresistible range of Barbour polo shirts and discover exactly what your wardrobe‘s been missing. The men's Barbour Tartan Pique Polo takes a twist on a classic Barbour design. 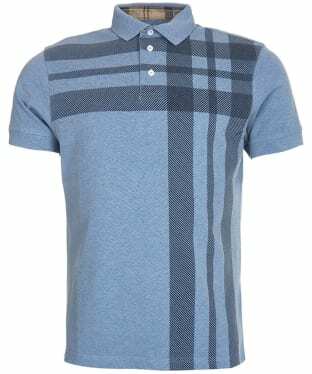 It has a simple design with short sleeves and a two button placket, and with Barbour's signature tartan design underneath the placket as well as on the back neck tape, for some subtle added detailing. 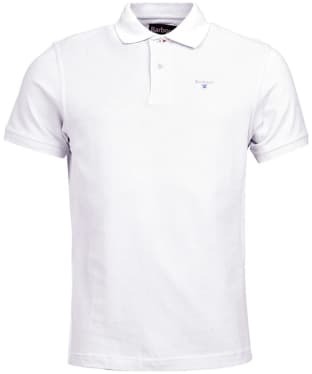 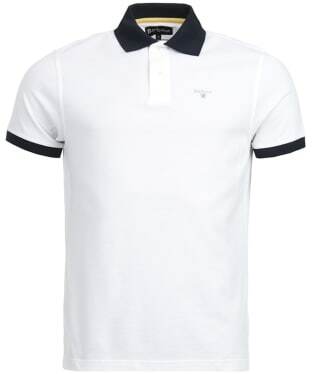 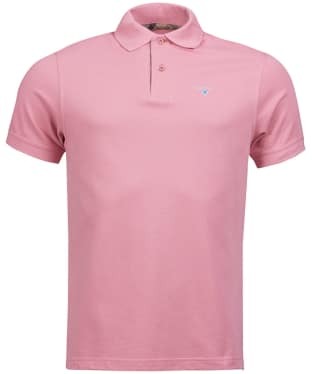 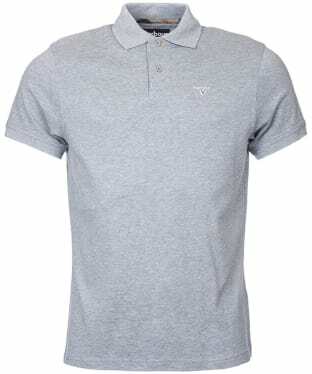 The polo is crafted from 100% cotton pique making it a quality, comfortable fit that's breathable, and comes in a wide range of colours making it essential for your summer wardrobe. 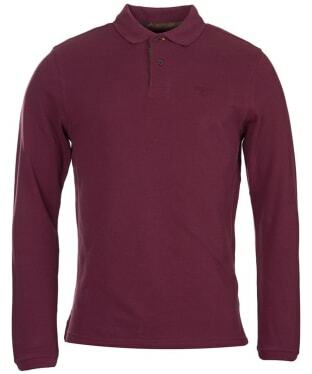 A great alternative to your traditional sweater, this Barbour Merino Long Sleeve Polo Shirt is a fine knitted long sleeve polo shirt crafted from 100% premium merino wool. 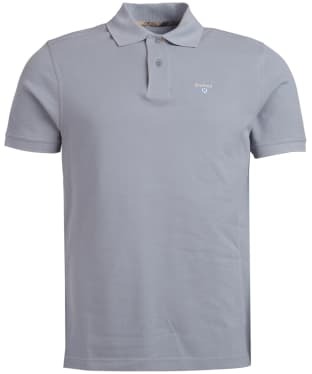 Perfect for more casual occasions when the weather is cold, this tailored fit polo shirt will skim over the shoulders and sit close to the body without compromising on comfort and ease of movement. This essential Men's Barbour Sports Polo Mix shirt is made from pure cotton and detailed with a contrast ribbed collar and cuffs. 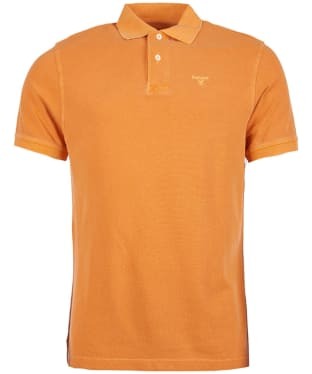 An orange contrasting button hole at the top of the placket accompanies each shirt colour, which are all finished with contrast Barbour embroidery to the chest. 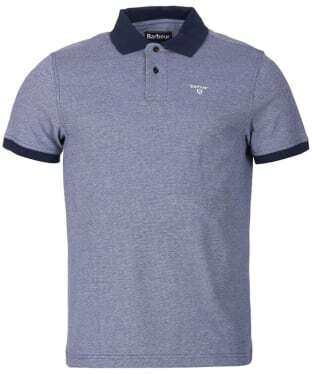 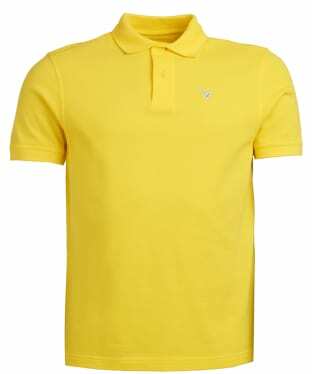 Whether heading out with family or friends, a polo shirt is always a reliable choice to keep you right on trend. 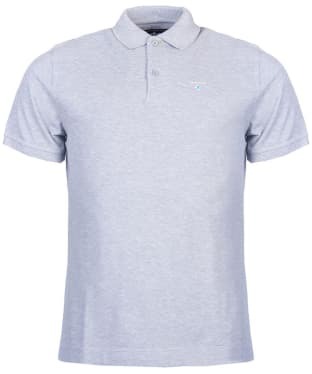 The Men's Barbour Gill Panel Polo Shirt is no different, offering you a smart and stylish garment which features a 3 colour design and the Barbour shield logo embroidered to the chest. 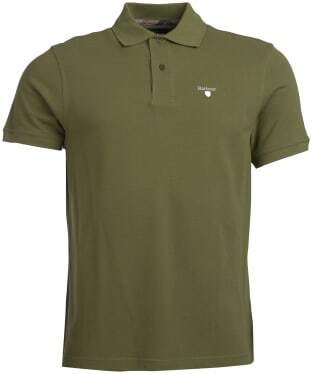 Made from 100% cotton, this can be teamed with your favourite Barbour jacket or worn on its own in the warmer months, and is sure to keep you at the fashion forefront. 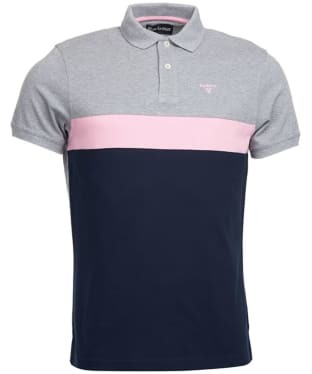 The Men's Barbour Shaldon Panel Polo would be a welcome addition to your casual wardrobe this season, featuring a pop of contrasting colours to the top of the polo to give an added touch of style and wearability. The Barbour Shaldon has been crafted from 100% cotton to offer you a stylish yet comfortable polo which would look great teamed with both jeans and chinos. The Men's Barbour Long Sleeved Sports Polo Shirt is ideal for your casual style and will carry you through this season and beyond with easy. 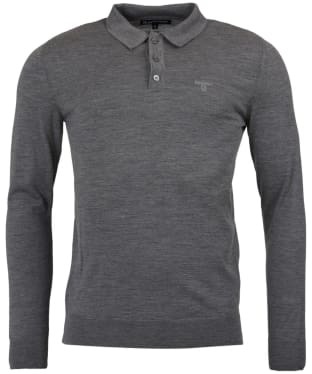 The long sleeved style is ideal for those colder days this season. This polo shirt could become a staple piece in your wardrobe, finished with a tartan trim and the tonal Barbour shield embroidered to the chest for added style and wearability. 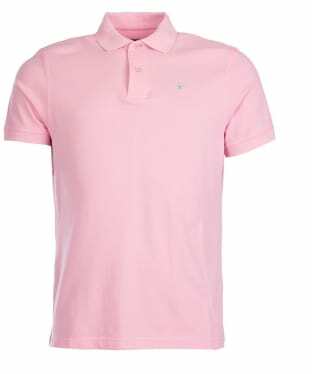 The Men's Barbour Brandreth Polo Shirt offers you a sporty polo shirt which has been constructed in single-jersey cotton piqué, to give you a comfortable yet stylish polo you are sure to love wearing. The Barbour Brandreth boasts a tailored fit to give you a contemporary silhouette which looks great with both jeans and chinos. 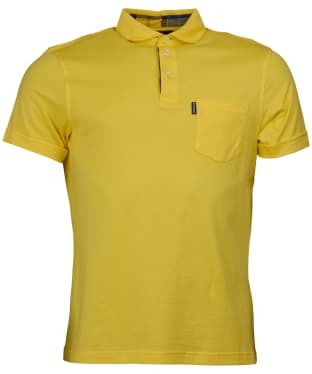 This polo features turned back cuffs and a patch pocket at the chest, finished with a brightly coloured Barbour Tartan trim to the inner back neck. 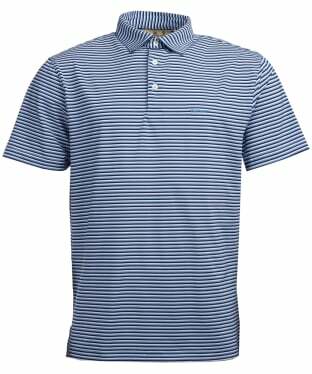 The Men's Barbour Lynton Polo is the ideal companion for those casual days this season and beyond, crafted from 100% cotton to offer you added comfort and breathability. This stylish polo features contrasting cuffs and collar for an added touch of stylish detailing, finished with subtle Barbour branding to the chest for the mark of Barbour quality and style. 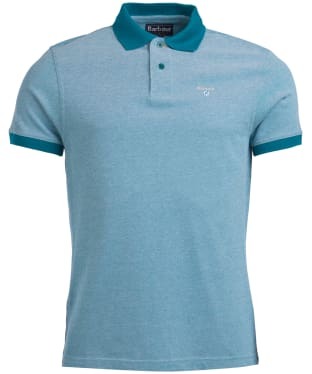 The Lynton Polo is perfect for teaming with jeans, chinos and shorts, quickly becoming one of your all-year round essentials. 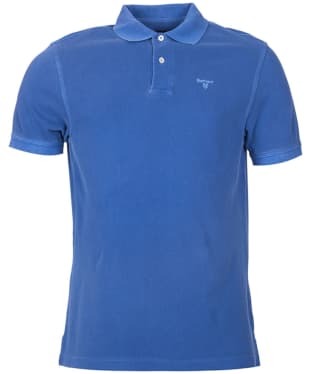 No gentlemen's wardrobe is complete without a series of stylish polo shirts, and the Men's Barbour Ambleside Tipped Polo Shirt is a great addition to your collection. 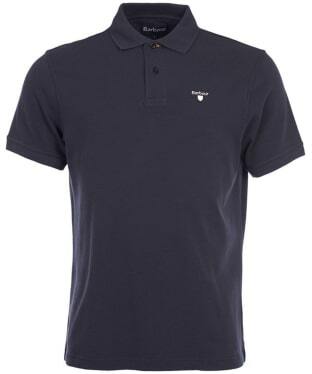 Crafted from 100% cotton for a soft and comfortable feel, the Ambleside has contrast tipping to the collar and cuffs and features the Barbour shield logo embroidered to the chest to round of the style. 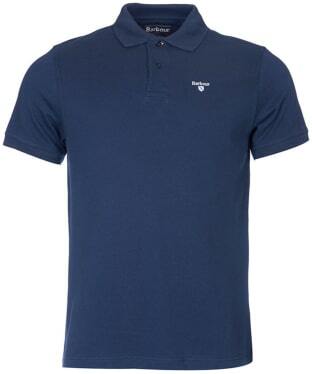 This will look great worn on its own or layered under your favourite Barbour jacket when the colder days arrive. 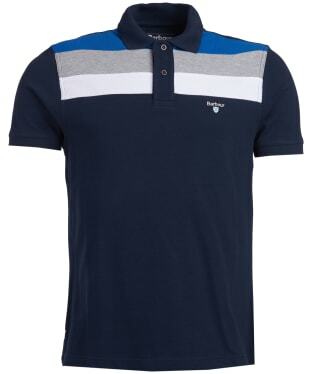 The Men's Barbour Performance Polo is the perfect companion for those sporting days, offering you a simple yet practical polo you are sure to love! 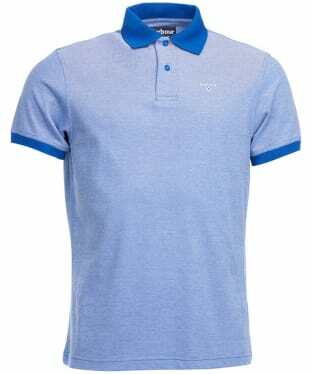 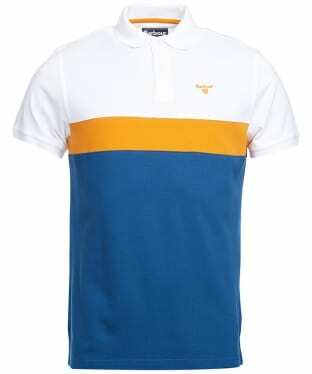 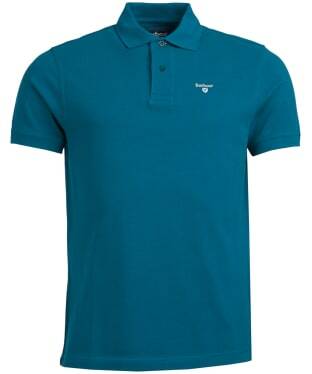 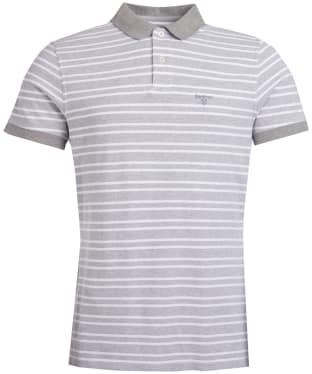 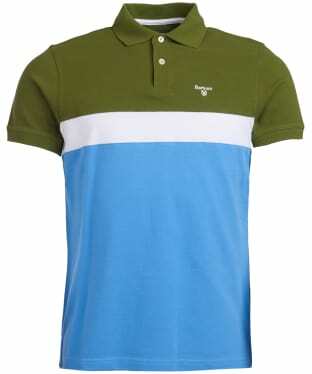 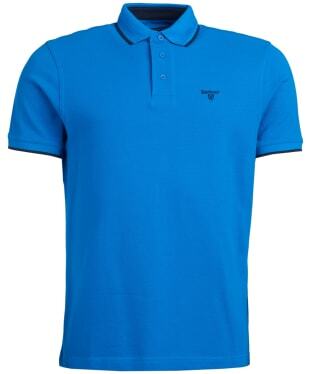 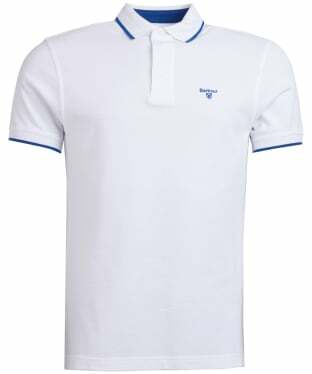 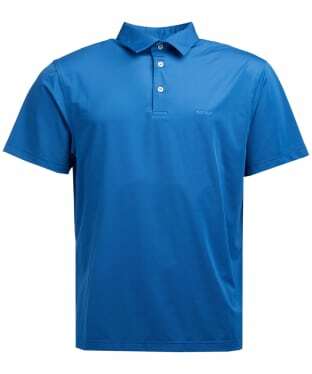 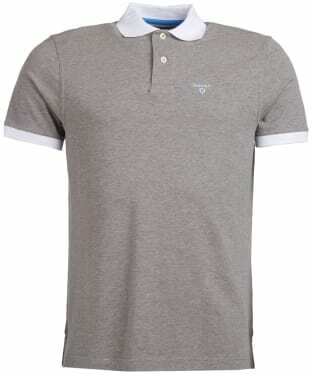 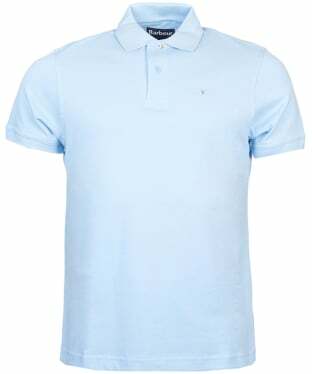 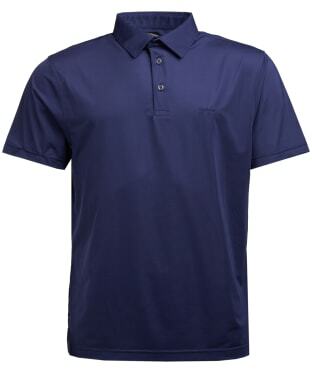 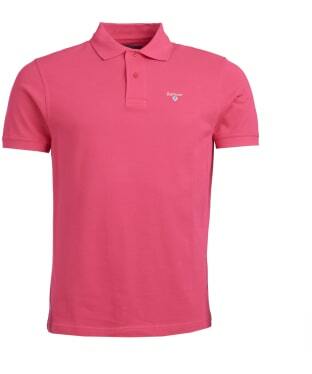 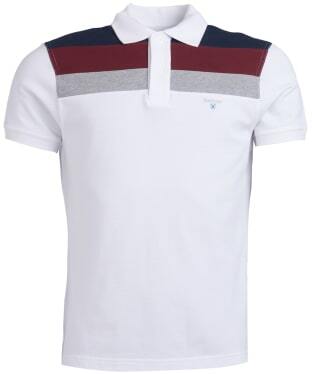 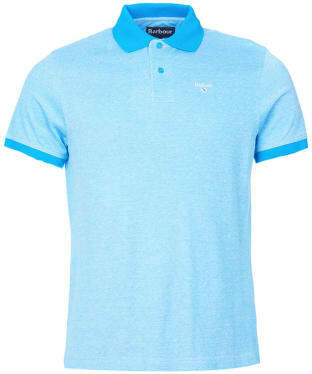 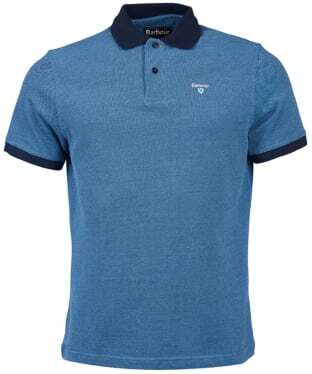 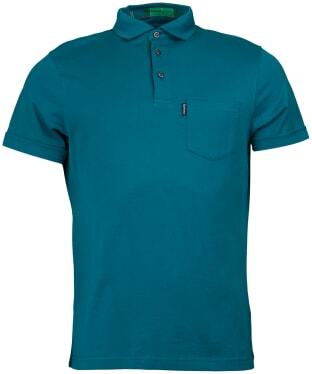 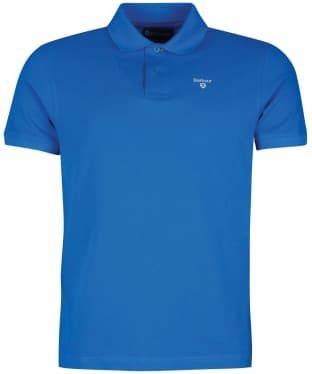 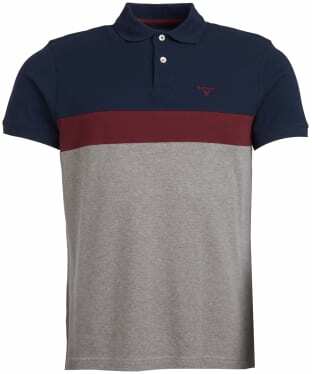 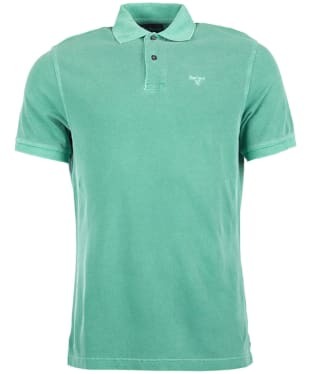 This short sleeve polo comes in a number of different colours so you can find the colour which is perfect for you! The Barbour embroidery to the chest gives you the mark of Barbour quality and style. 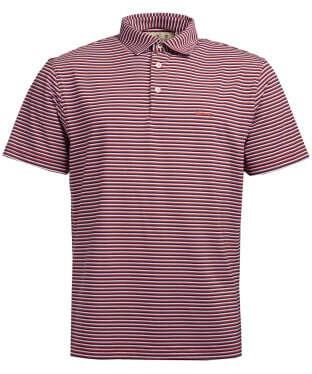 The Men's Barbour Performance Stripe 2 Polo Shirt is a wardrobe essential for any stylish gentleman. 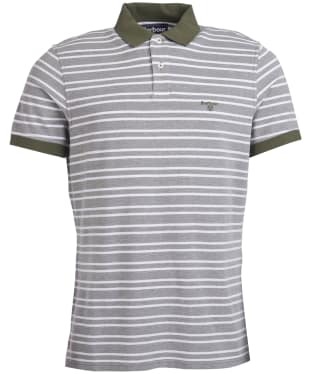 Super soft and comfortable, this polo is perfect for everyday wear and boasts a striped design to keep you looking on-trend through this season and beyond.